Welcome to our shop Chupeng.We all the time work on providing more high quality dresses and better shopping experience. This is a high quality tulle dress.Perfect for prom party quinceanera. This dress is 100% handmade and quality guaranteed by experienced tailors. Click “Chupeng” above the title for more products. Built-in bra,Perfect for Prom Quinceanera and other special occasions.Dresses Length:Floor-Length With Train,Neckline:Sweetheart,Silhouette:A Line,Sleeve Length:Sleeveless,Decoration: Butterflies of The Top Looks very Beautiful ,Back Design: Back Lace Up. 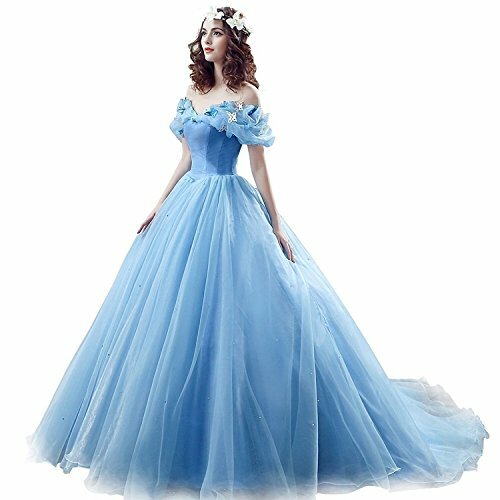 It is great for formal party,evening party,pageant,wedding banquet,birthday party,dance ball,cocktail club party ,graduation party and so on.We will ship this dress for you witnin 7-10days,If you want this dress in a rush,please feel free to leave message to me,we can do it for you in a rush! There are two shipping ways:1.standard shipping:usually take 7-15 days to arrive after shipment.2.expedited shipping way usually take 3-5 days to arrive after shipment.Please choose right shipping method for yourself.If your time is urgent, please leave a message to tell us your event date, we will offer rush service. Click "Chupeng" above the title for more products.